What a surprising drive it was. Unexpectedly fun. A very good looking car too. First time I brought it home, my wife told me to park it in the garage as it would attract too much attention otherwise; she has no problem when I leave my GT3 outside though, I was offended for certain. The interior of all new Porsche show significant improvement with the dash layout, the feel and general ambiance. This was the very basic Cayman, no frills version with minimal options, except PDK. The PDK! Well, I am a convinced convert now. I played with that thing in every way possible, just superb. No padles unfortunately, but changing gears up and down was so much fun, and the throttle blips were right on every single time. It was also much faster than other PDKs I used in Cayennes or Panameras, this was sporty, responsive and encouraged shifts. I was involved, trust me, I was. But yes, something is lost no doubt. What I found lacking in this configuration was the shifter, not the third pedal or some uncontrollable need to heel/toe, but the shifter. You see, when we shift using a manual, the 'circle of feeling' has a complete loop. My left hand is on the steering receiving information, my feet are touching the pedals receiving information and apparently I have been receiving information that I took for granted with my right hand on the shifter. I did not realize, until driving the PDK hard, how much information I have been receiving through my right hand and combined with all the sensory inputs, the circle was closed. With the PDK, the circle has an open gate. You do miss it, but it is not a showstopper. As for the 3rd pedal... if I had a PDK car, like the 991 GT3, I would focus my attention on left-foot braking, it would be such a fun activity for me and talk about involvement. But I suspect Porsche will put the safety first and disable throttle input with the brake application, so unless you have it turned off with aftermarket ECU updates, that won't be possible. Maybe Porsche will give us a button for that too in the future. Electric steering was nice, but far from what we have in our GT cars currently, the hydraulic system. The Cayman steering has good weight, a thick steering, and is very responsive. However, here is what's missing: the weight is linear through the range of turns, hence it feels artificial, and of course it is. Particularly in our current GT cars, you put a little steering and it is light, you increase the steering angle and the weight or back-pressure increases gradually, and when we are turning at near or above 1g, you can actually feel the bending on the sidewalls of the front tires, which tells the driver how close s/he is to the limits of the tires. That final bit of the feel is lost now unfortunately; maybe someday they'll figure out how to bring it back. The handling was as it had been with the previous generation, which I used for 5 years and 80K miles with nearly 20K miles on the track. Many describe it as "balanced," I describe it as compromised and nervous. It is compromised because it is mid-engine, and the static and dynamic weight distribution is not optimal for any part of the corner. Easy to drive to 7/10ths, but consistently finding 9/10 or 10/10 to actually be fast in that car is a challenge for me, and making a mistake is too easy with recovery even harder. It is nervous because the chassis is not optimized for high-speed track driving. The rear is not true multi-link, and wheel base is now too long in my opinion that took away its agility. In this Cayman, I would enter a fast sweeper and first the front-end was very responsive to directional changes, but the rear would get the message a little too late, then the front tires would start giving up and the car would understeer by mid-corner, if you stepped on the gas, the rear end would twitch and get into uncomfortable oversteer. I was going through this scenario almost every mid- to high-speed corner. And because the electric steering is lacking that fine feeling, you just keep hunting through that 'balance' that journalists keep talking about. I think nervousness replaced agility in the 981 Cayman. However, overall the Cayman was tremendously enjoyable besides few infrequent details I wrote above, so much so in fact that I would consider buying one for certain. A few tweaks to the suspension components and tires would lessen the short-commings of the chassis, but nothing close to a rear-engine 911 and particularly a GT3. So, why am I writing about a base Cayman on our GT Register? According to an interview Total 911 conducted with the Porsche CEO Matthias Muller, whom openly stated "looking at broader range for the Boxster and Cayman, and we are discussing a GT4 model for the Cayman, as well as a Cup version of the GT4." This news has far reaching implications in my opinion. This is not a game changer for the 911 base, Porsche will not let that happen, right or wrong; but imagine a Cayman configured with all of the factory bits of the 997 GT3 and GT3 Cup, and tuned by Porsche Motorsports. 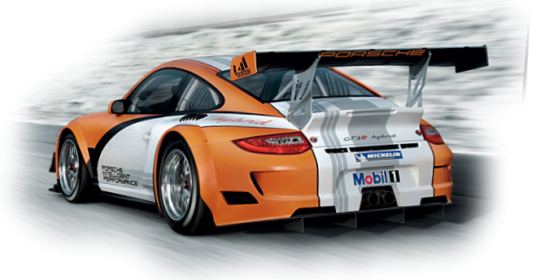 It will elevate the status of Cayman to a level that will probably put the first two generations of GT3s into shame. Since the current Cayman S is about 90 lbs lighter than the 997 GT3, a Cayman GT4 will be a formidable addition to the Porsche GT ranks. Depending on power levels afforded to such a Cayman, if the chassis is as well tuned out of the factory as the current 997 GT3, which may meanit will finally get a full multi-link rear suspension, and an available PDK+ from the 991 GT3, it will become the darling of the club racers all across the world. However, I doubt Porsche will incorporate the RWS to the Cayman nor will stuff a GT3 DFI into it, hence it will continue to have a more nervous dynamic chassis characteristics than a 911 GT3 and less speed through straights, which will allow the GT3 to keep its throne. The only down side, IMO, to rear-engine configuration is rear tire wear, which is supposedly solved now with RWS; we'll see once the Cup car uses RWS at Le Mans, if that ever happens. Next 5 to 6 years are probably the most interesting and exciting times in Porsche's history with increasing model line up, increasing racing involvement, we are going to have a ball.